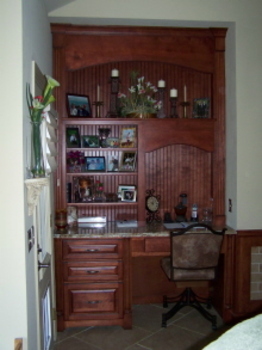 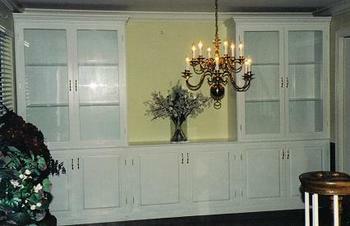 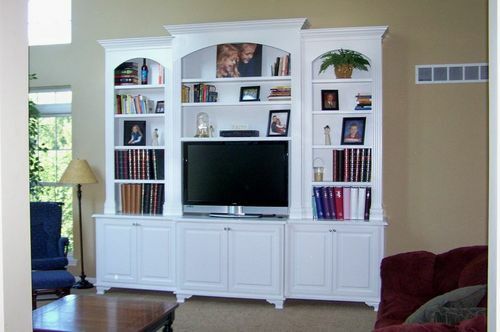 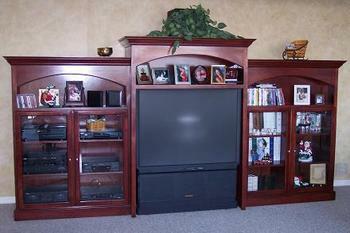 We will build you a custom built-in or entertainment center to fit your specific needs. 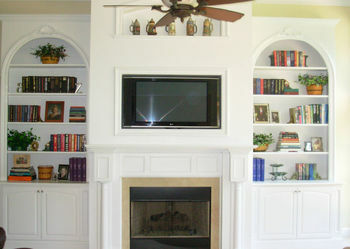 Adjustable shelves, hidden speakers, lighting, pull out shelves, and glass doors are just a few features to consider. 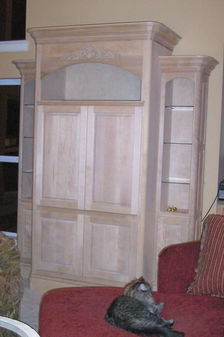 We can build it, you can finish it. 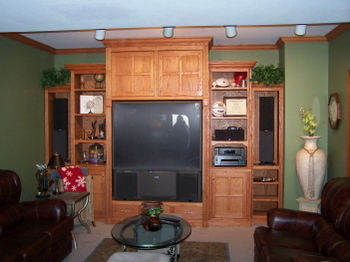 This piece has hidden speakers that point toward the ceiling.